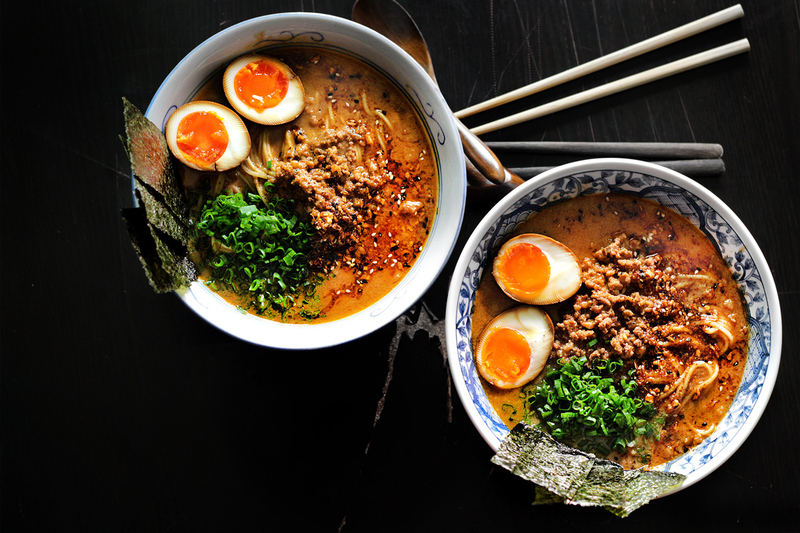 Miso is an essential ingredient in Japanese cuisine, mainly because it packs some serious umami. Made from a mixture of fermented soybeans, rice or barley, and a fungus called koji, it presents as a thick, salty paste that may not sound appealing, but gives a major flavor boost to even the most boring dish. White Miso – often referred to as “sweet” or “mellow” miso due in part to a shorter fermenting process which produces a milder, less salty flavor. It is most commonly used in soups, salad dressings or as a light marinade for meats and vegetables. Yellow Miso – fermented for a slightly longer period than White Miso, which produces a slightly saltier taste, though it’s still relatively mild. This one is a little less common but is also used for soups and marinades. Red Miso – this miso undergoes the longest fermentation process so it is significantly saltier and more complex in flavor. It’s best used for hearty, meaty dishes. Chef’s tip: Use sparingly, even a small bit packs a big punch! Miso paste can be found at most grocery stores in the ethnic food section and it’s also available for purchase in our Fish Market at the Dragonfly Doral location. Store it in the fridge and it will last indefinitely.